Eeni Meeni Miney Moe, I'll figure it out and let you know! Anywhoooo - Just wanted to send a shout out to Mr. Gentleman Jim. He's got a great website! He's a master tailor. I've been watching his video's and the information is priceless! 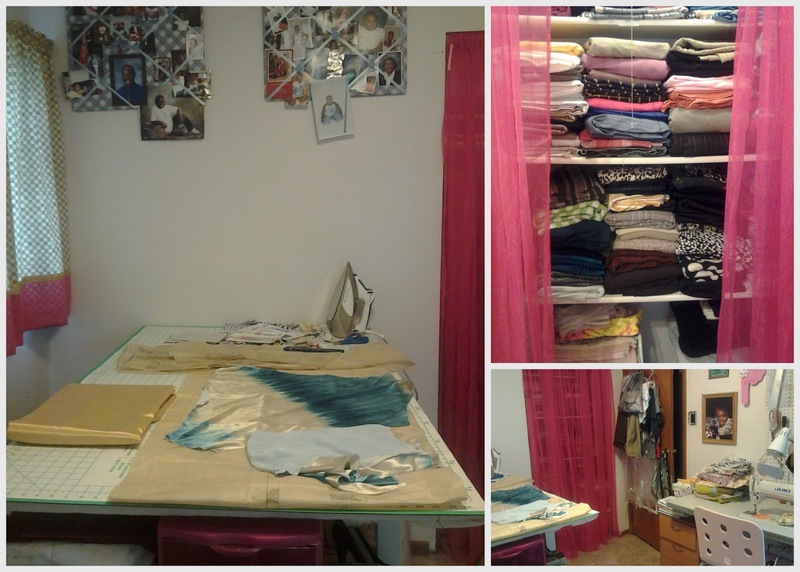 Tailors do things a little different then the "home" sewer. It's really all about the insides and custom fit! I had the pleasure of learning from a great Master Tailor/teacher here in the Chicago area in the past. Working with him and applying the techniques I learned has made a difference in the things I make. I don't normally do this but if you sew, give his video's a looksie!! I sure do! If I lived in GA, I'd take his class. But I don't. Help me out and give me some Birthday outfit suggestions! I have almost every pattern made!! My All Night Therapy Lounge - Drugs Included!! Room view and my babies! My table in action and my Stash! 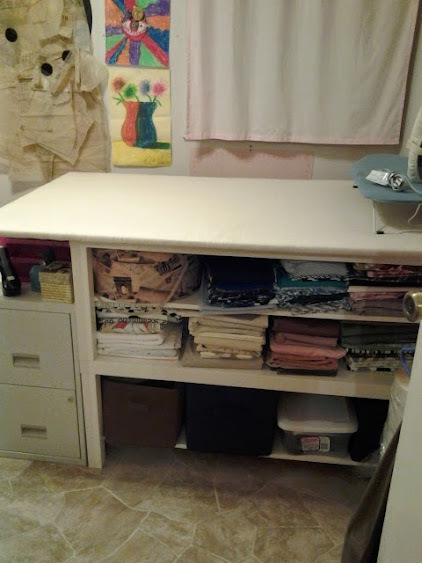 My cutting table is from IKEA. It's two LACK Coffee tables! I made it myself. All the other furniture is from IKEA as well. I did a huge (sewing) project for their Illinois Flagship store back in 2006. My display was up for about 8 months! It was quite an honor. My Rollie Pollie Ollie holds serger threads and all kinds of fun needful things as does my Peggy board. 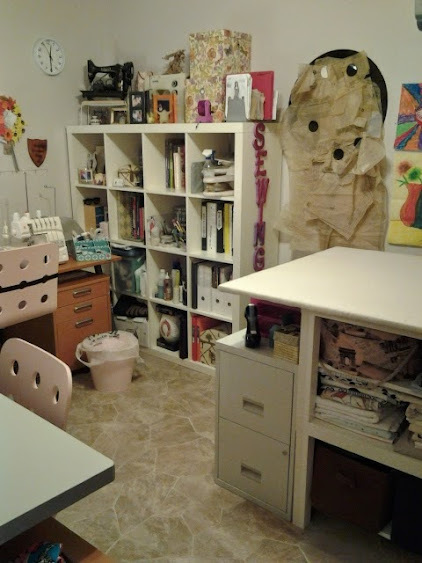 The file cabinets are filled with patterns and more stuff. And then my "stash"! Nothing like shopping in the comfort of your own home. 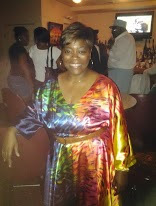 I'm trying to stay on my fabric diet and use my stash but I must admit that "Chevron thang" broke me! Hope you enjoy my pics as much as I enjoyed your visit! Google Reader is Going Away?!!! Follow me another way! You choose from the sidebar! Anyway you want, Just do it! We have been really busy here at the Warehouse. (All sorts of pun intended). 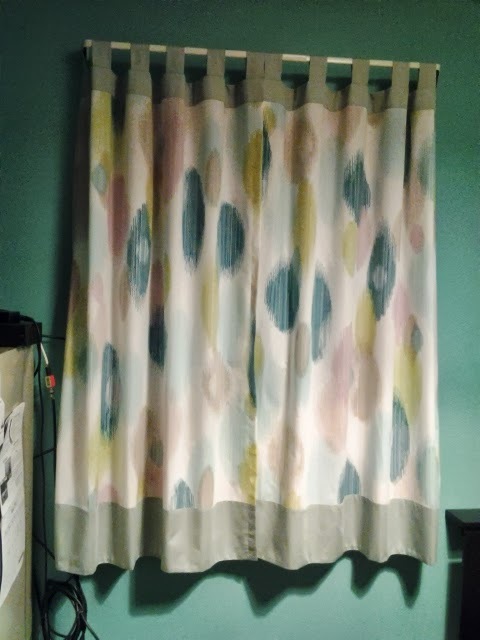 Anyhoooooo, we've been making some changes around the house and slowly but surely flipping the rooms in our house. 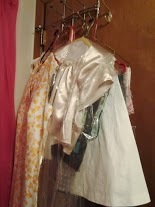 So with said I wanted to mention my sewing projects. 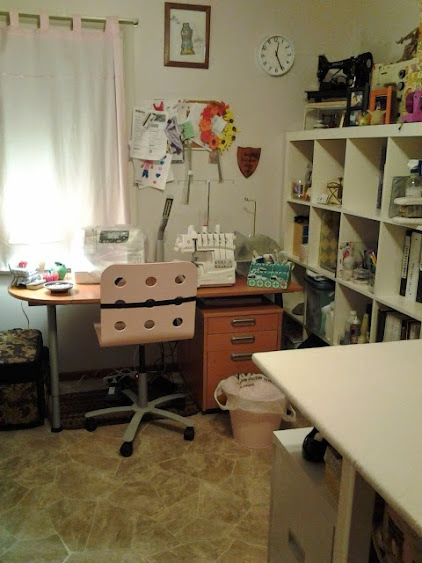 My last post showed my newly redone sewing room. 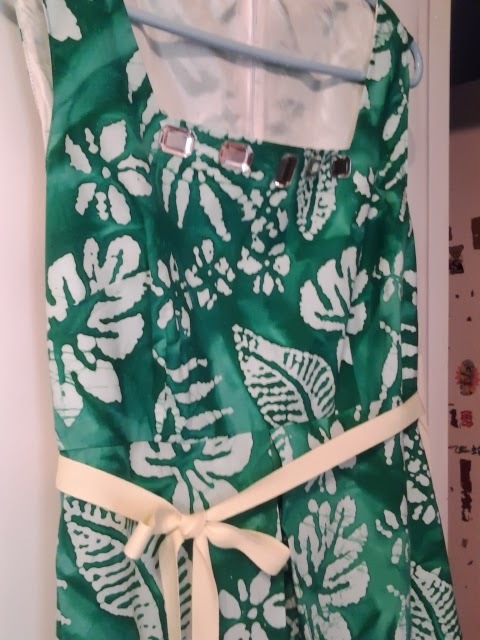 It's pretty and all but, I really haven't had the time to actually use it or my new serger either! With work and our makeovers I've been to damn busy and too tired to do anything. Well the time finally came for me to do the "fun" part. 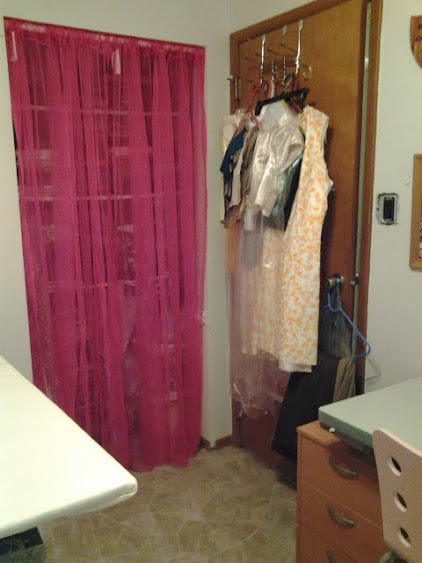 I made curtains for my sewing room and curtains for my office space as well. 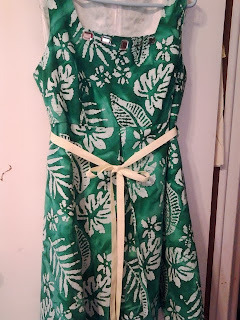 I even made myself a dress and I am in the process of making another. 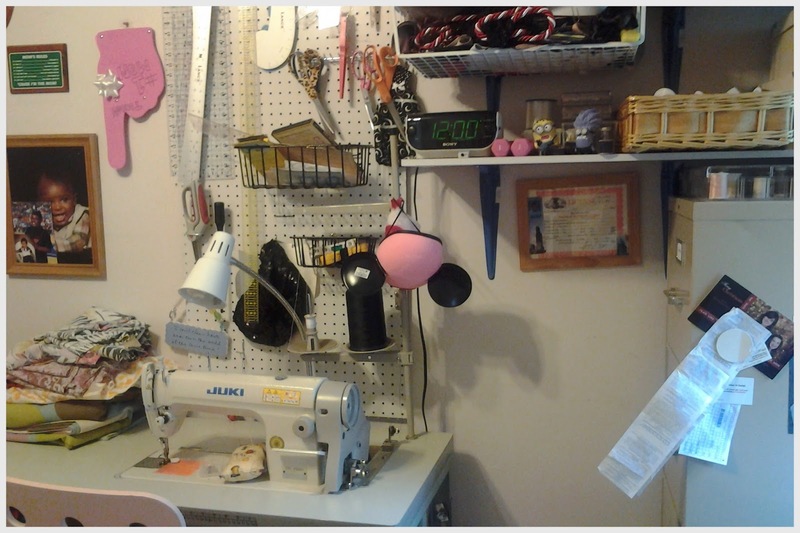 I said that once I got a break I would tear a hole in my sewing room and that is just what I did and boy am I having fun! It feels so good to actually get my hands on a project that is MINE all MINE!!!! 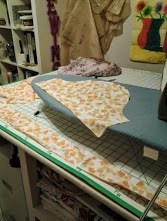 This fabric has been in my stash for 5 years and I finally used it. Nice weight. 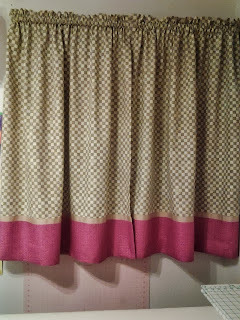 The pink fabric was a mess! 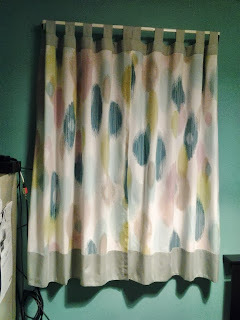 This is in my sewing room now and I love them. 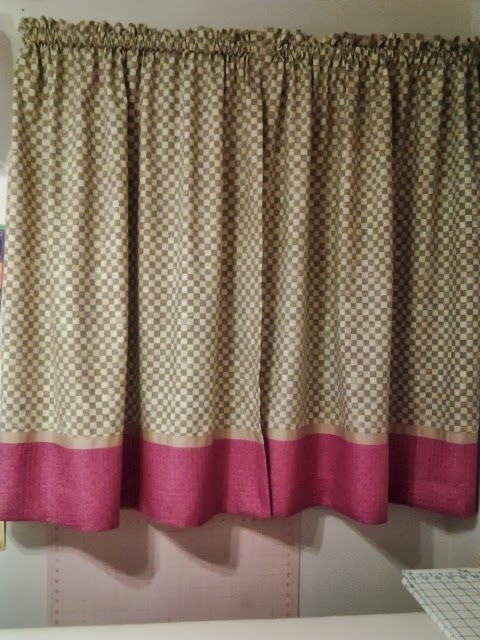 No pattern used here. 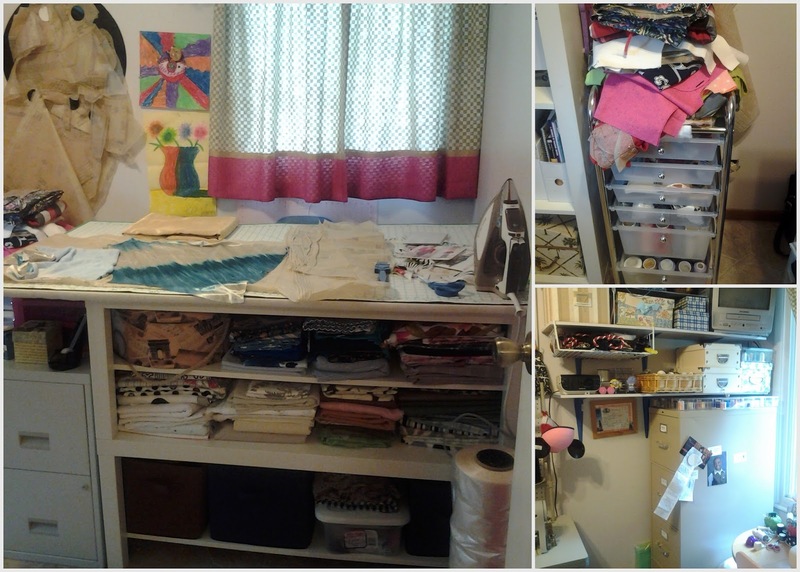 I did all this sewing in two days so for a little comic relief before I get back into it me and my son decided to initiate my new room and do the "Harlem Shake". Have you had a sewing slump and missed mojo lately? I have shaken mine!! It has been a loooong time since my last blog post! 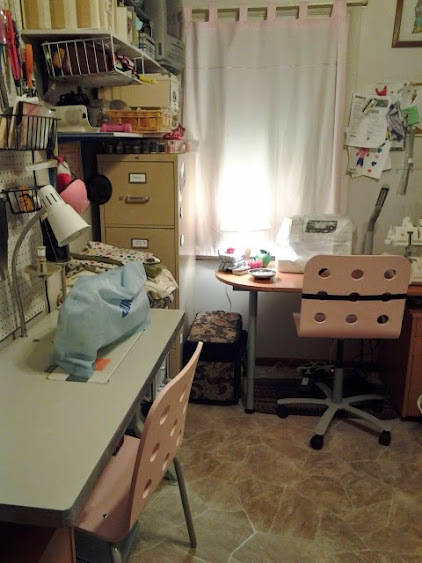 I have been very busy with my business and have had little time to sew. I have not had time to blog but I have found time to read other blogs! (LOL! Go figure! It's much easier.) 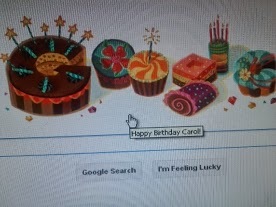 Those of you who still came to see my blog, THANK YO!! Anywhooooo, I just want to catch you up on what I've been doing. 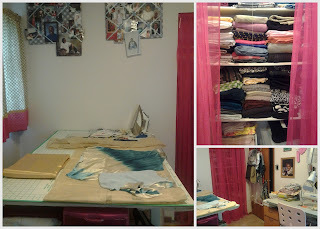 . .
Non-Sewing: I have started a technical consulting business where I have been a sub-contractor for about a year now. I have been very fortunate to have found work and have found some worthy clients who send me work on a regular basis. One in which has asked to manage a large project for them. It's only the beginning and so far it's going well. (knock on everything wood in the room!) It is really keeping me busy! Because of this big break, I was fortunate enough to pull some folks off of the unemployment line which is a blessing. Feels great to be in a position to help other's who really deserve a chance. Wish me luck in my endeavours and I thank you in advance! Prayers welcome - Anytime! In Tennesse on business needed some R&R time! This was down the street from my hotel! 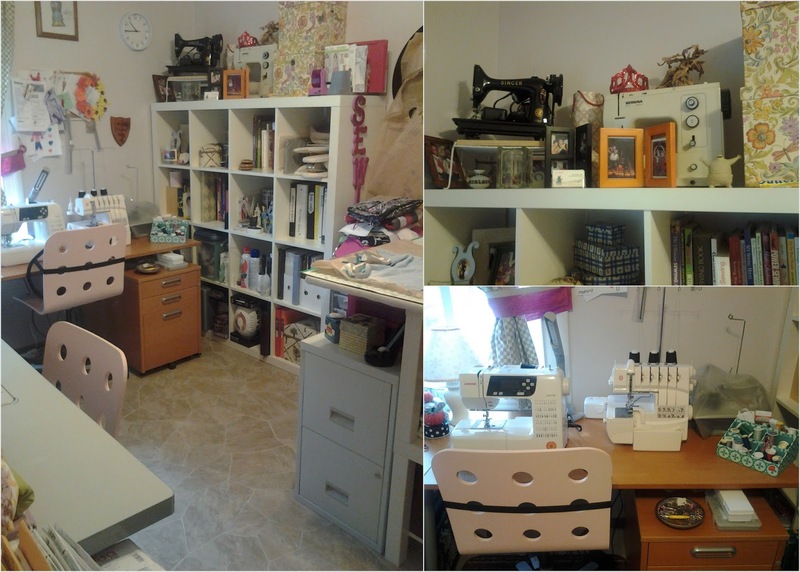 Sewing: I got a chance to see the British Sewing Show (Loved it!) Had my money on Ann!! Congrats Ann! 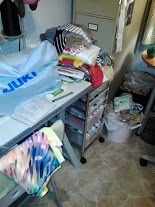 Got myself a new serger and we are great friends! I made a prom dress for my niece. She didn't get to wear it. Yes, I spent some valuable time on this project but it is what it is. The Past! On a great note - she is learning how to sew and I learned a new technique. 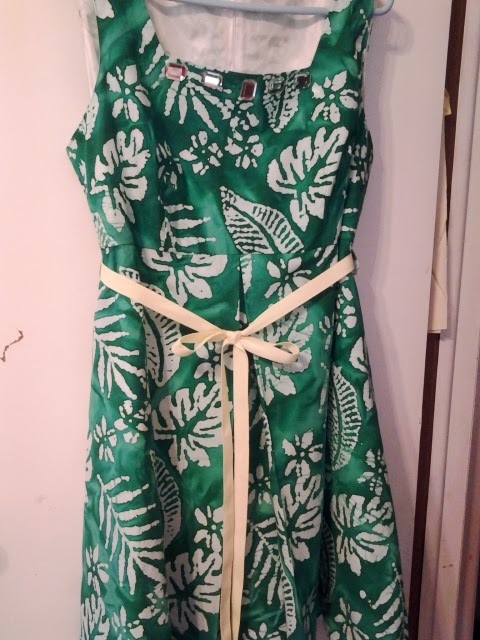 It has been a long time since I sat down and pumped out a "real" dress. 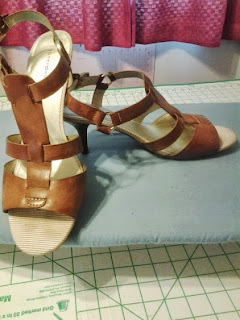 I have been serging elastic waist pants and other quickie things that make you lazy and are mojo satisfiers (is that a word?). 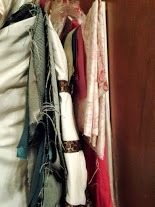 So, it was nice to see that I didn't loose my fitting/pro-dress making touch. :-). 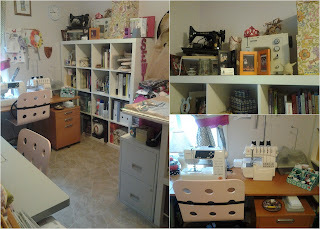 Here's the "before" of my sewing room! Thanks for visiting! I really enjoy your company! I was online window shopping for bras (window shopping is when you click, click and click and checkout and then close the page after you see the shipping charges!) and I noticed that the Cacique and Victoria's Secret were having their "big" sales. So, I looked and looked and looked and $80 for two bra's I just couldn't do. Anywoooo, I know a lot of you will pay that but since I have been sewing my own things I just can't seem to let the price thing go. 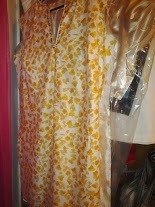 I feel if I am going to pay for it - it should be as nice as my made things - Quality, fit and fun!!! Not to mention - I have had two bra kits in my possession for two years now! Just lazy. But guess what? I will be posting my progress!! Please if you sew - get involved it starts today! Victoria and Cacique - Eat your friggin hearts out Biiiitch!